Designs that are easy to do, takes simple supplies, so quick to complete, and turns out beautifully...giving you pride and accomplishment in your finished project. There are over 400 craft & quilt patterns in my line. I also have over 150 collage sheets, digital signs, and flash cards. Please take a peek at my webite and etsy store! Let me share my background with you! 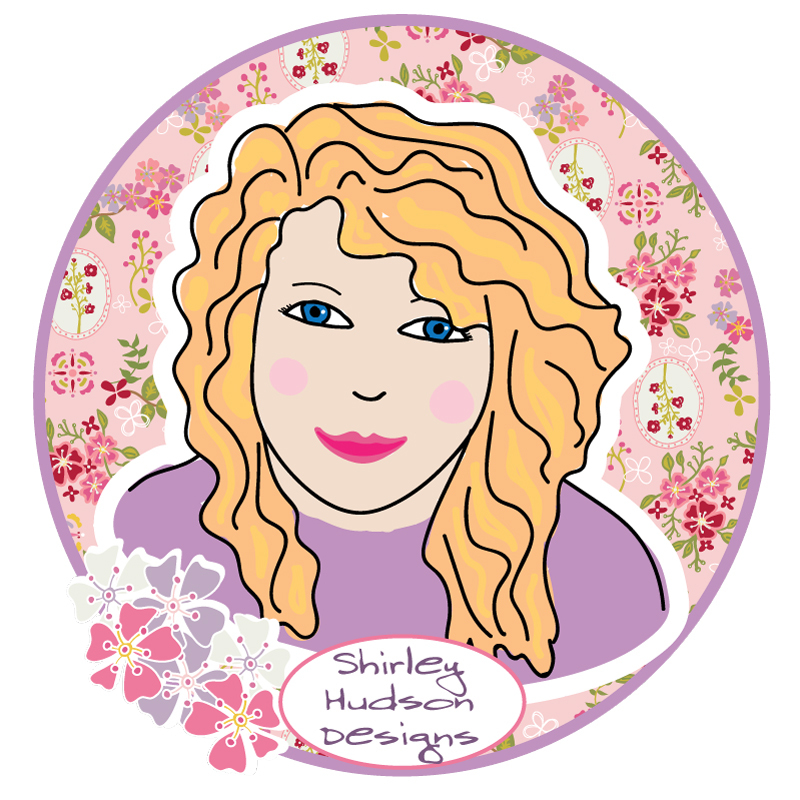 I am Shirley Hudson of Hudson's Holidays Designs. Recently my daughter Selina has joined in with me! I am a mom, wife, crafter, quilter, artist, pattern designer, home lover, and Chocoholic! In 1997 I had my one and only child...Selina. I worked at the post office and couldn't bear leaving her everyday....so we decided I would be a stay at home mom. I needed to help alittle with the income....so I crafted. I decided to submit a couple craft ideas to a magazine.....and they accepted after a few "No thank-you"s.
Tip: keep submitting and trying...all they can say is no....but it could be a big YES! I created crafts for all the major Craft magazines out there like: Create and Decorate, Crafts n' Things, Country Marketplace, Crafts, prims, and more. Editors requested me to design for them and to fit a theme. It was fun! I then decided to make my own patterns and create my own line, Hudson's Holidays. I was getting tired of making 50 of one item. I have been designing for 19 years ... I currently have over 400 patterns for quilts, stitcheries, wool projects, needlepunch, needle felting, and projects to decorate the home for all the holidays through out the year. I also have over 150 collage sheets, signs, and flash cards. My designs generally are easy and quick for the busy women of today. Our time is so limited today ... we need fast and satisfying projects. I also wanted to create patterns that interlink other elements into a project ... like paper, reusing or recycling old odds & ends, and adding unusual embellishments. I like to design new concepts ... to make projects different. I have been selling wholesale to quilt stores in the Northwest for years and retail all over the world via the internet and all my online stores like Patternmart, Etsy, Instant printables...etc. Patterns can be found at Checker Distributors too! I also have had my designs in Keepsake Quilting Catalog. To keep customers up to date with my colorful blog...I change it constantly. I give freebies, design ideas, and I like to share personal stories. I also connect with people using my Website, facebook, and a huge email list. I have been a guest stitcher on Bari J's blog which was a delight. I have taught my designs and did a demonstration at our WSQ quilt show. I also love selling at quilt shows and quilt market. I also a designed for the company Deflecto....craft organization and fun goodies.